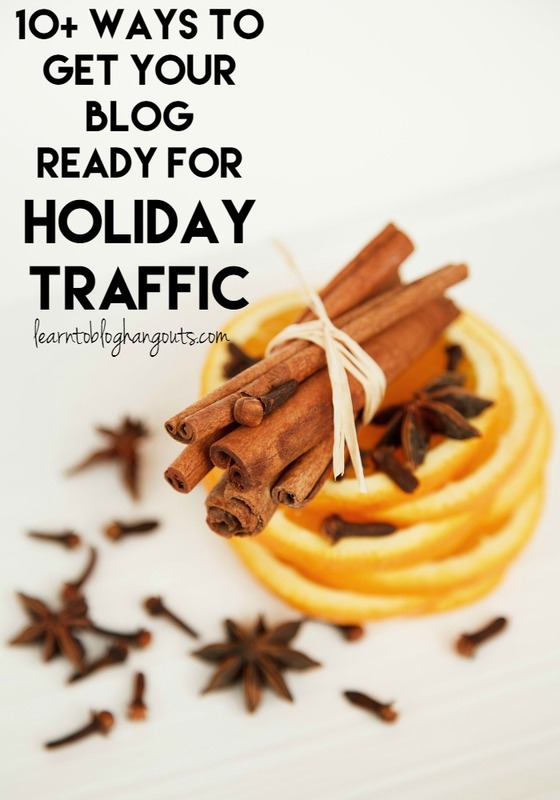 Are you ready for the whirlwind of holiday blog traffic? How was your Halloween content? 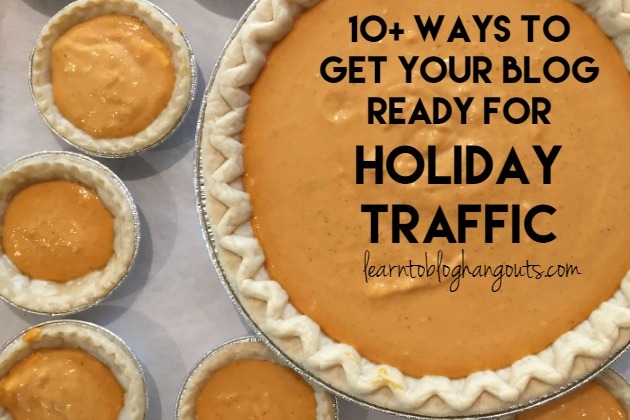 How will you kick it up a notch for Thanksgiving and Christmas traffic? How are the new Pinterest changes affecting your traffic? Are you utilizing Facebook as best as you can? Let’s finish the year with a bang! Join Kelli Miller and Crystal VanTassel as we share our tips and pointers! 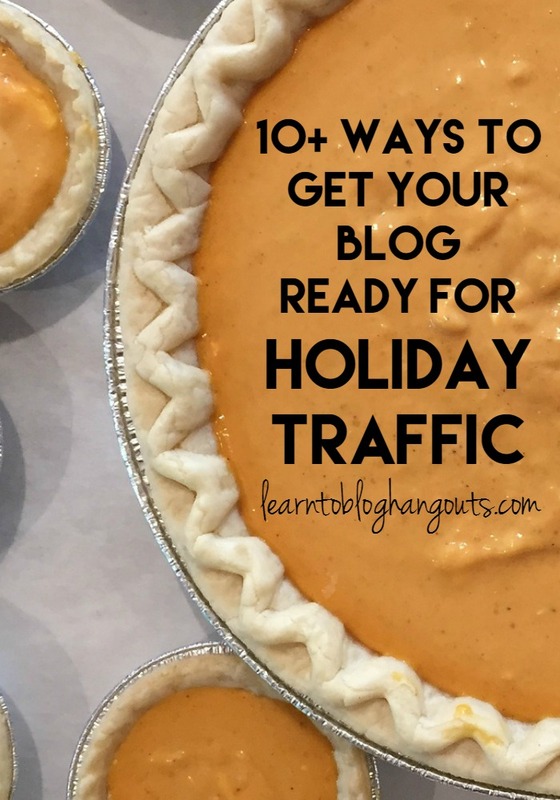 How are you getting your blog ready for the holidays? The last three months of the year, the advertisers say we need to spend the rest of our money before the year ends on ads. See our post on working with brands. We need to get ready for that and get our blogs ready for that. Start linking up content from this season last year on linky parties. Fall stuff is still relevant. Keep writing and promoting it until you get to the holiday season. There’s less than a week to Halloween, how are you posting? Post content right up to the holiday, even on the holiday. There will be a reader who desperately needs your content that day, that forgot about it, or is unprepared. How can you make his/her life easy that day? Where can I buy supplies last minute? How much are they? In your roundups, don’t include all of your pictures in your collage. People want bigger collages (50, 100, etc.). Only share 5 of the photos, they have to click on the image to see the rest of the ideas. Kelli starts getting her Thanksgiving content together, saving new posts until after Halloween. Her formula is roundup, new content, roundup for each holiday. Starts posting about her holiday gift guide (which she posts in November). Kelli will be mostly offline during the Thanksgiving holiday. Plan beforehand. Create posts for that week. Schedule content to go live during that week. Then work on the two weeks at Christmas. How can I expand on the topics or create new content around the topics that are already bringing me traffic? How can you be the best resource in your niche for the topics people will be searching for? Start thinking now. Prepare. Make lists of what you can write about. Continue to publish Halloween content through Halloween day. Start posting Thanksgiving content right away. You are in great shape with plenty of time to post Christmas content. September 19 is 6 weeks before Halloween. October 15 is 6 weeks before Thanksgiving. November 13 is 6 weeks before Christmas. Give yourself 6 weeks to promote your content. Download this free editorial calendar planning sheet from Kelli. When will you start posting Christmas? Start to strategically prepare drafts now (90% ready), so that all you have to do is sit down the week of or the day of and put the final 10% together and schedule it. VIP members, Kelli’s challenge features tips in the forum on working on one extra post a day to get ready for the holidays. Kelli starts Halloween with a roundup of posts she’s already written about it and including other bloggers’ content. Then, starts pushing out new content until 5 days before the holiday. Then, within that 5 days before the holiday time frame, she will post lots of new “last minute” roundups (i.e. last minute Halloween worksheets, last minute Halloween costumes, last minute Halloween crafts, last minute Halloween decor, what to do with Halloween candy, etc.). If you haven’t been affected yet by Pinterest’s changes, you will be soon. Old pins are still keeping their momentum and doing well. The new pins you’re sharing do not have momentum and are not as likely to do well. Pinterest doesn’t want you pinning the same think to multiple boards, but Pinterest doesn’t like that. Crystal used to schedule the same pin to 10+ boards, spacing them out in 45 minutes – 2 hours apart increments, that worked. Now, that’s seen as spam. It seems Pinterest wants you to allow 24 hours before it’s pinned again. Now, it’s best to schedule them out over time – she takes one pin, schedules it 7 times/boards, once per day, over the course of a week. (1440 minutes apart) She does the same for her tribe members and asks them to do the same for her. Be sure to use your tribe to get your content out there. She does the same for her tribe members and asks them to do the same for her. Be sure to use your tribe to get your content out there. Watch your Pinterest analytics to see which pins are getting the most repins. Use that momentum. This works on Pinterest and Facebook (momentum). Push those pins out in re-pin groups to take advantage of that momentum. Have a different approach on each network, depending on how it works. For example, you can share Christmas pins in October on Pinterest, but not on Facebook. On Pinterest, it’s easy to save for later. Pinterest seems to be more aspirational, whereas Facebook is about real life, happening now. Facebook fans don’t tolerate Christmas content well in October. They are still trying to get through Halloween and will then be preparing for Thanksgiving. Pay attention to what works for your audience on each platform. In addition to Crystal’s List of Linky Parties, there is an updated list in the VIP forum. Kelli submits 9 posts each week to linky parties (3 recipes, 3 homeschooling printables/tips, and 3 general parenting posts). Each type of content is promoted only on those type of linky parties. This is a way to strategically create content and promote it in places where that type of content is searched for. 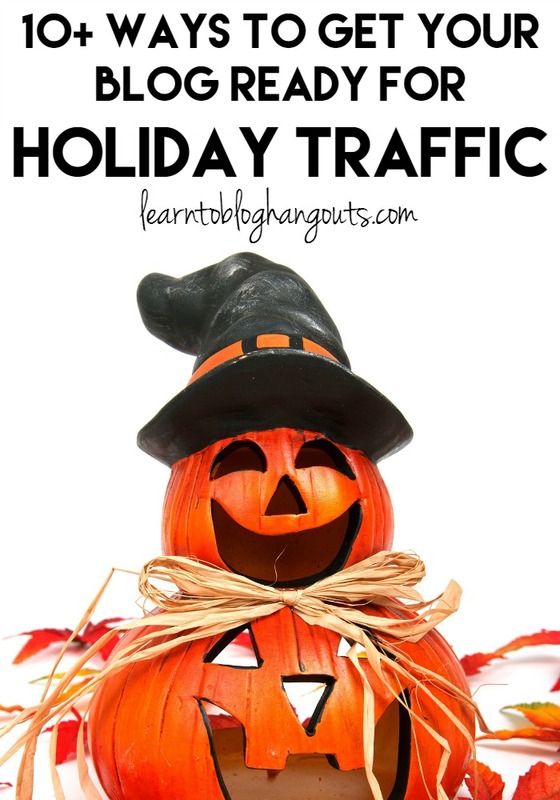 Instagram shows our real life (we’re going to the pumpkin patch with our family, we go to other family functions and have a great time, all outside of the content we share on our blogs). You have to change your profile link every day, depending on what you’re promoting. Support each other, especially when someone has to be offline. Crystal works with a tribe who share 5 links each week of each others’ content. Done on all social media platforms. If someone is going to be out, you can promote their existing content, new content, submit guest posts on their site. Kelli and Crystal will go over your site for 15 minutes in a recorded session that will then be given to you. See our consultations page. Search Webmaster tools for holiday, Thanksgiving, Christmas, Halloween, New Year, etc. See what you’re ranking for and WRITE THE POST! Kelli publishes holiday content twice a week (i.e. one day is a printable, the other day is toys, books, movies, etc.). 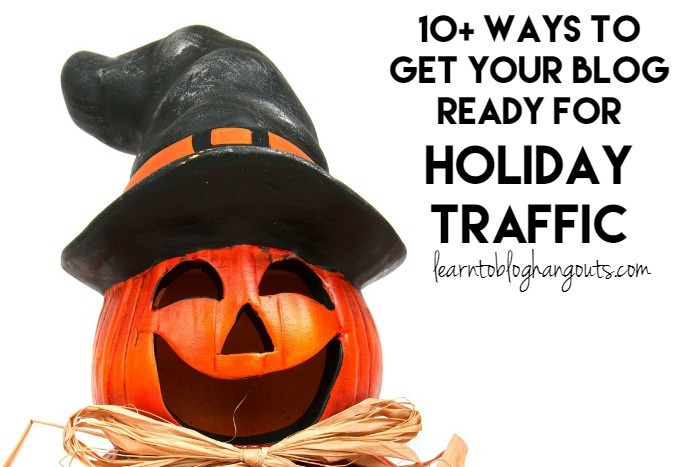 Especially if the holiday content ties in to a keyword you’re working on in general. 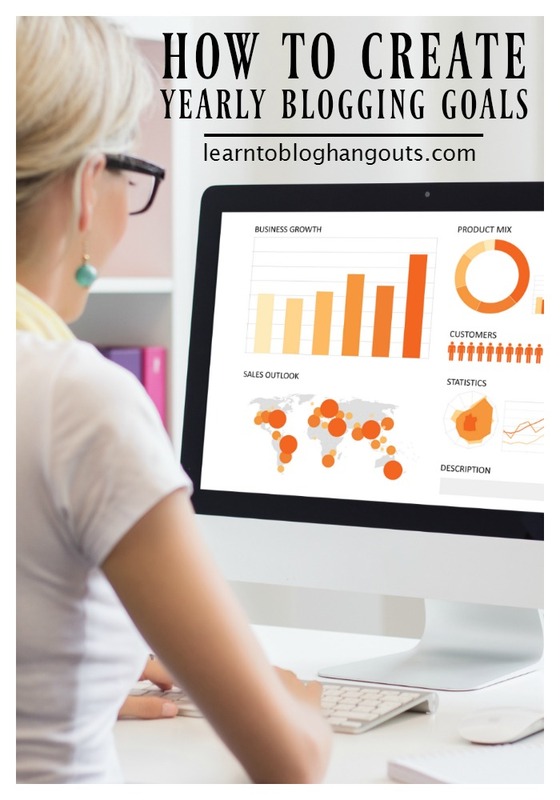 Watching your Webmaster Tools and Google Analytics. Each year, you should be keeping track of that data. Webmaster Tools only shows data for the previous 3 months, but you can download it and/or write it down (notebook, calendar, keep in a draft blog post, etc.). 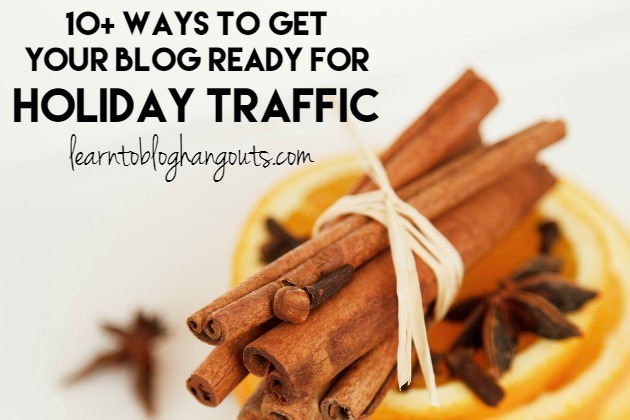 It’s Crystal’s main indicator of what to write about (what she already has momentum for and is already receiving traffic for), Pinterest source (what’s being pinned from her site), to create new roundups and new content from that. This may also be good content to post on your Facebook page, too. Work in bulk. Take 30-45 minutes and work on the same type of post (ex. printables). Use templates. Setup a template for each type of post you do to make it very easy to change out the content and have a new post created. Add 3-5 Amazon product links (book, Lego set, etc.) to accompany the printable, craft, etc. Add 3-5 links to your previous content, your tribe mates content, and resources from the LTB roundup search engine. 35%+ of the content needs to be changed (i.e. different intro, note of where to put the image, note to describe the printable’s purpose/content, etc.). If you don’t want to work in bulk, it’s still a good idea to use a template or at least copy a previous post into a new draft. Begin changing what is different about this particular post (so you don’t have to start from scratch). Have an SEO plan, including landing pages and creating content around keywords that are already bringing traffic. If your readers are using your content differently than you planned, take note of that and make a collection/package it that way. The top two search engine are Google and YouTube. Create a video and SEO optimize the post title, description, etc. Embed your video into the post and SEO optimize the post title, description, etc. This will give you twice the chance of ranking well for those. If you have been applying everything you’ve learned from the 80+ videos that we have created, there is no reason you should not be making money right now from your blog. If you are making money, invest that bag into your blog to continue growing. You need to strategically plan your actions and optimize your content to take advantage of the money brands will be spending. During the last three months of the year, you can make more money than you may have made all year long.